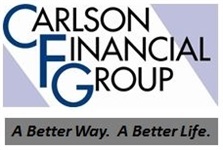 Welcome to Carlson Financial Group, Inc.
Carlson Financial Group, Inc. is an independent insurance and financial services firm committed to helping our clients improve their long term financial success. Our focus is to deliver an unprecedented level of personalized service and to help our clients solve their financial problems though the use of insurance and investment products. We have 80 professionals across the state of Nebraska as well as Arizona, California, Colorado, Kansas, Montana, South Dakota and Texas. We take a hands on approach in helping our clients make good decisions about risk and money. We understand that no 2 people are alike. Find out which carriers and partners we use to find a product to fit your individual needs. Learn more about the variety of services we offer you, your family, and your business. Search to find an agent nearby or click on the agency links to learn more about the associated agency that we work with.